According to the news conference, by 2020, the proportion of Shanghai's expenditures on research and development will remain above 4 percent of the city's GDP, and the proportion of funds on basic research to the total expenditures on research and development will gradually increase. "The municipal government is placing an emphasis on human resources as part of this year's reform measures. High-caliber personnel are the key to promoting technology innovation," said Luo Dajin, deputy director of the Shanghai Science and Technology Committee. In recent years, Shanghai has invested more in supporting talents growth as part of a series of plans for cultivating skilled youngsters, which has gained strong support from the municipal government. For example, a project designed to give financial support to young people who innovate in science and technology, named the “Sail Plan”, has increased its funds quota per capita from 100,000 yuan ($14,909) to 200,000 yuan, and the number of people given support has risen from 150 to 300, and is expected to increase to 600. To promote the technology innovation, the upgraded policy also proposes to give researchers the ownership and long-term use rights of their professional scientific and technological achievements. Guan Shuhong, director general of the Shanghai Institute of Materia Medica, Chinese Academy of Sciences, said it is the first time to see such proposals about state-owned technology achievements in a written document, which gives new hope and great incentives to the research team of the institute. In addition, researchers will have greater control over the funds for science projects. 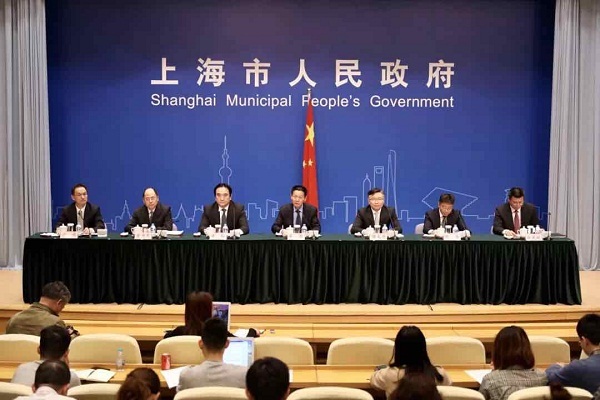 "The operators of the projects will be able to distribute more capital in the budgeting process," said Jin Weimin, deputy director of the Shanghai Municipal Finance Bureau.